Embroidery lends itself perfectly to creating the effect of fur on a pet portrait and creates a truly original and everlasting memory of a furry loved one. 20 years in the veterinary profession, handling and observing many hundreds of animals in the most minute detail, has provided a thorough understanding of the bony and muscular structure beneath the fur as well as the individual expressions and reposes that make each one a unique personality - loved, cherished and one day sadly missed. 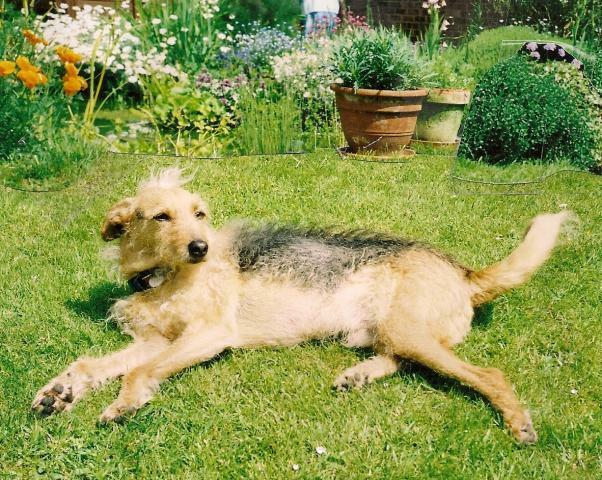 Vanda can reproduce an image of a favourite pet from a single photograph, though the character and expression of the animal must show through in the photo. The background setting can be whatever one wishes it to be. a single animal embroidery can take up to a month or six weeks to complete and will cost from £650, depending upon size and complexity. 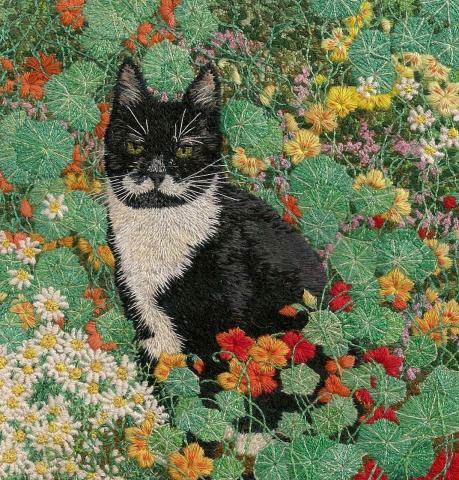 Click Embroidery Gallery to see Vanda's nature and animal embroideries.